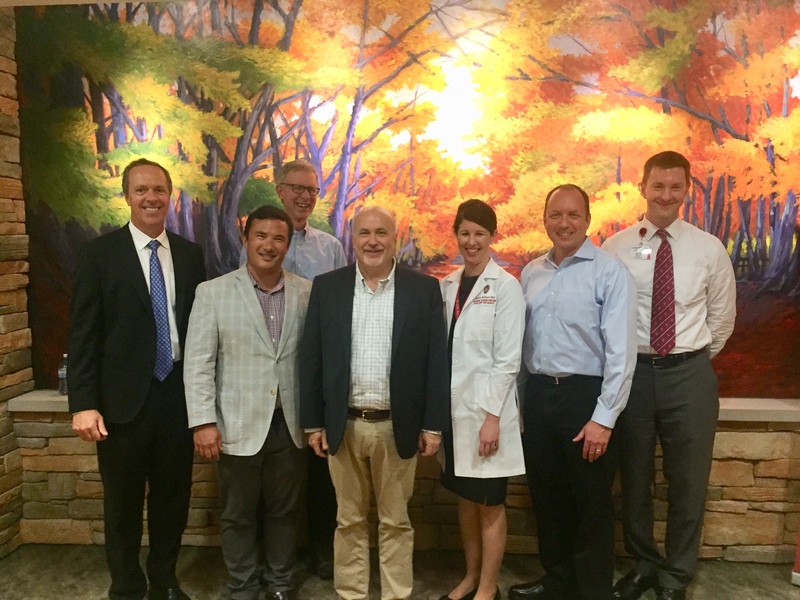 On August 27, U.S. Representative Mark Pocan visited the Department of Human Oncology at the University of Wisconsin School of Medicine. There he met with radiation oncologists and medical physicists to learn about the department’s cancer research and latest treatment advances. 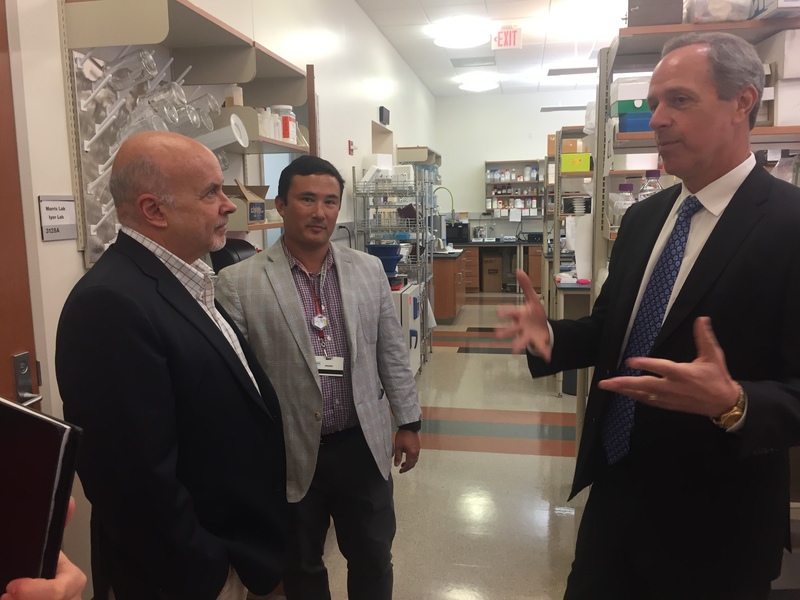 DHO Chairman Dr. Paul Harari (right) and DHO Associate Professor Dr. Randy Kimple (center) describe how the department’s cancer research laboratories operate to U.S. Representative Mark Pocan (left). 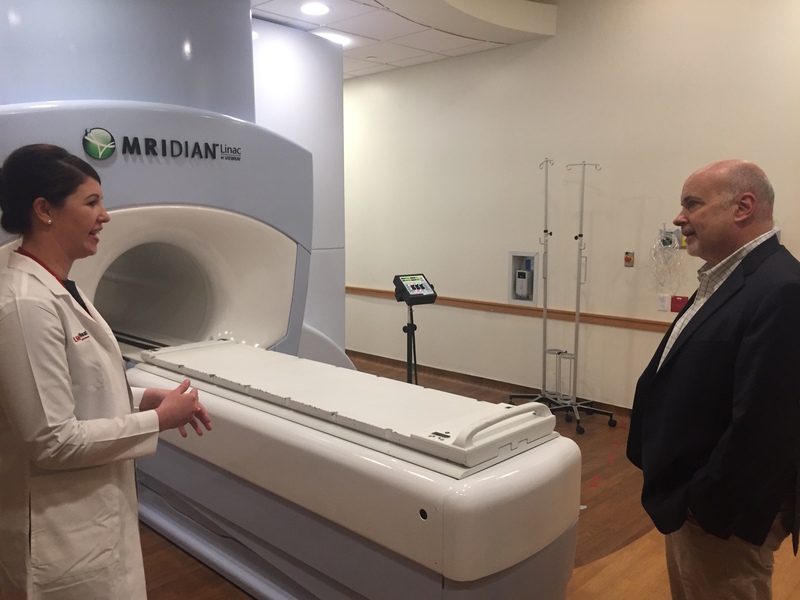 Dr. Kathryn Mittauer, DHO staff physicist, discusses the department’s MRI-guided radiotherapy system with U.S. Representative Mark Pocan. This system, which was installed and commissioned this year, enables clinicians to monitor tumors and surrounding tissues during radiation treatment to maximize delivery precision, particularly for tumors that move during the breathing cycle. 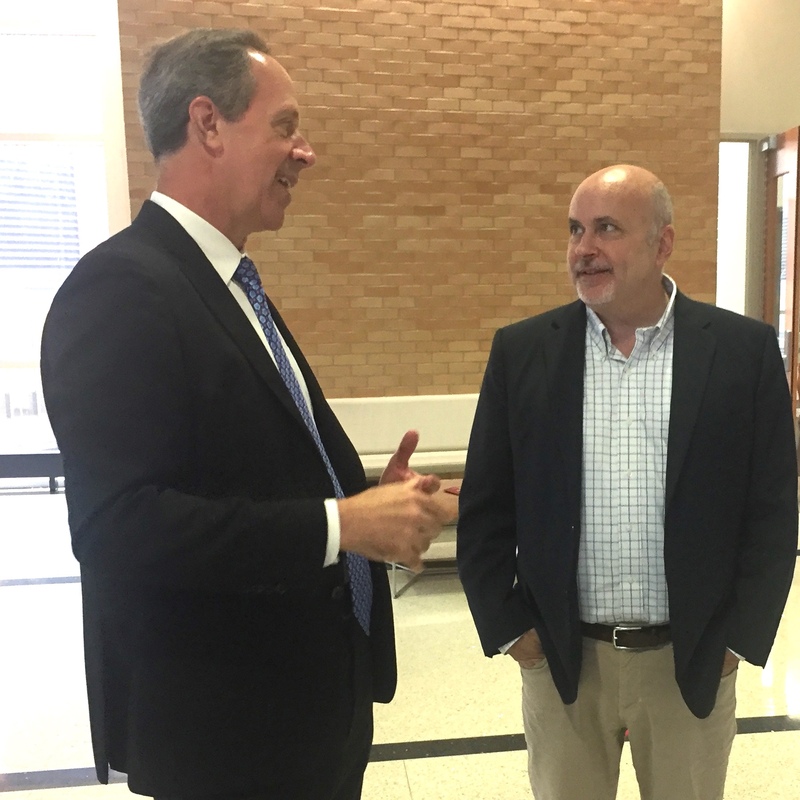 DHO Chairman Dr. Paul Harari talks with U.S. Representative Mark Pocan during his visit to the department’s cancer research laboratories and the radiation oncology clinic. (L to R) DHO Department Chairman Dr. Paul Harari, DHO Associate Professor Dr. Randy Kimple, Patient Advocate Marshall Flax, U.S. Representative Mark Pocan, DHO Staff Physicist Dr. Kathryn Mittauer, Patient Advocate Randy Eggert and DHO Assistant Professor Zac Labby.